CCCWA – Chinese Center for Children’s Welfare and Adoption: Chinese branch of government that oversees adoptions. LID File or NSF File – Logged In Dossier File, or also referred to as Non-Special Focus files. Children whose files require that a family have their dossier completed and Logged In with CCCWA before they can be matched. Usually the very young children with more minor, correctable or popular medical needs and girls up to age 9 with minor to moderate medical needs. More girls are designated as “LID Files” than boys because of the strong preference for girls in international adoption. Although boys and girls are abandoned in about equal numbers, typically there are around 500 girls waiting compared to 1,500 boys. LID files are only listed on the shared list and aren’t assigned to agencies. 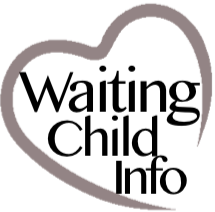 SF File – Special Focus Files are children that can be matched with families at any time during the adoption process, even before starting paperwork if their agency has determined they are eligible. All children who are not designated as LID Files are labeled as Special Focus. Most boys are designated as “SF” because they tend to wait longer and be harder to place due to gender. Please note: if a family has been matched with a child prior to home study completion/update, that child’s file may be moved to another family who has already completed their home study. Many families are choosing to complete their home study/update prior to reviewing children. Agency Designated/Specific File – CCCWA allows agencies to hold Special Focus files for 90 days to advocate for those children. In exchange for their efforts they are the only agency that has access to those children during that time period, which means they don’t show up on the shared list during those 90 days. Families with a completed home study can have their placing agency request that a child’s file be transferred if they wish to pursue a child listed on another agency’s designated list. Shared List Child – The Shared List is the big master list of all Chinese children who are paper-ready for adoption and waiting to be chosen. Agencies all over the world pull files from this list and it is constantly changing as files are locked and released. Only agency representatives can see this list. Children who are agency specific cannot be seen by other agencies on the shared list, however, if the agency doesn’t place a designated child with a family within 90 days the file will be moved to the shared list so all agencies can see the file again. SWI or CWI – Social Welfare Institute or Children’s Welfare Institute = Orphanage. Social Welfare Institutes may house both children and adults under government care. USCIS – U.S. Citizenship and Immigration Services: Homeland Security – US branch of government that approves China adoption and child immigration status. You will send two applications to them. One to be approved to adopt and another to seek approval to adopt your specific child. HAGUE: As of April 1, 2008, all adoptions of children from China are governed by the Hague Adoption Convention. This is an international agreement designed to ensure that inter-country adoptions are in the best interest of the child involved. All families who want to adopt from China must follow the Hague guidelines and must use a Hague accredited home study case worker and a Hague Accredited placing agency. If your home study isn’t done by a Hague accredited case worker, or someone working under the accreditation of an accredited agency, you will likely have to get a home study update (or a new HS) by an accredited case worker to adopt from China. LOI – Letter Of Intent: Letter to China asking to adopt a specific child. This is loaded electronically by the agency. Your Home Study agency and Placing agency (if different) need to have a cooperative agreement in place prior to the Placing agency being able to load your LOI into the system. PA – Pre-Approval: The child has been put on hold for your family pending review of dossier. No one else can see the child’s file at this time. PA is granted instantly to Logged In families and usually comes within 2-21 days for families who are not Logged In yet. HS – Home Study: Adoption education, and necessary invasion of the most intimate details of our lives… A home study can be done in a few weeks to a few months depending on how quickly your case worker gets it completed and how soon your state clearances come back. An approved home study is required to submit a Letter of Intent to adopt a specific child. i800-A to USCIS: Application sent to Homeland Security along with your completed home study asking to be approved to adopt one or two non-specific children from a convention country. This approval is required before you can be DTC and a copy of the approval must be state sealed and authenticated by a Chinese consulate or embassy for your dossier. Getting i800a approval takes anywhere from 5-8 weeks usually. Most believe that walking in early for fingerprinting doesn’t speed your process up but it does feel good to have it done. DTC – Dossier To China: Your dossier has been loaded electronically in the system and mailed to CCCWA to await translation and review. Usually takes 4-6 months from starting paperwork to being DTC for the first adoption. Subsequent adoptions may be a little shorter because the home study should be faster and usually case workers don’t repeat all of the state clearances – just your current state if you’ve been there 5+ years. LID – Logged In Dossier: CCCWA acknowledges receipt of your hard copy dossier and issues a “Log In Date.” After this your dossier will be shuffled from desk to desk as it gets translated, reviewed and approved by different people. From DTC to LID can be a few days to several weeks. LOA – Letter Of Action (LSC – Letter Seeking Confirmation): Dossier has been translated, reviewed and approved and you are now officially matched with your child/ren. You need to sign, date and return the LOA confirming that you still plan to proceed. Your LOA wait starts the day you are Logged In if you received PA prior to being DTC. If you were LID before matching then your LOA wait beings when your LOI was loaded into the system (PA is automatic in this case). Another step with a huge variance…anywhere from 40 to 100 days. May come faster if you were LID for several months prior to matching. NVC – National Visa Center: Where your i800 approval is sent. From here your info will be loaded into the “system” and a cable will be sent to the US Embassy in Guangzhou. The NVC will assign you a GUZ number which goes on immigration paperwork for your child and then you’ll be emailed a copy of a pdf file that gets forwarded to your agency. This all happens automatically and within a week. Now your agency can submit the Article 5 paperwork. Article 5: A courier will pick up the Article 5 (final approval that every duck is in a row and quacking) from the US Embassy and deliver it to CCCWA. The Article 5 lets CCCWA know that you are approved by the US government to adopt that specific child/ren and have appropriately jumped through every hoop and paid every fee our two governments could think of. After this step CCCWA issues TA. TA – Travel Approval: You are welcome to enter the country to complete your adoption sometime over the next 90 days, but first you need to request your CA. If you received PA prior to being LID your TA should arrive 4-6 months after you are LID. If you were LID your TA should arrive 4-6 months after PA.
Family Day – The day you receive you child is your “family day” (some refer to it as “gotcha day”) although legally you’re only taking temporary custody. The following day you will sign the adoption papers. A few provinces/orphanages will have family day and adoption day on the same day. If you’ll be doing this bring LOTS of snacks for your child because it makes for a LONG day! Orphanage Donation – Historically this has been a mandatory fee of RMB35,000 (around $5,500) paid directly to the orphanage staff on adoption day, but in early 2018 it was determined that this should be a true donation and that the amount (if any) would be determined by the adopting family. Orphanages weren’t aware that this was happening and this loss of revenue may lead to a decline in the care children receive, and/or the amount of adoption files prepared. Please give the full RMB35,000. Thanks to Hague and all the aforementioned hoops, as soon as your child/ren sets foot on American soil they are automatically US citizens! To review China’s eligibility guidelines please click HERE.